The vast majority of the requests we receive are for a change in behaviour and may or may not involve developing new skills. Our approach is to listen and clarify the outcome at whatever level. 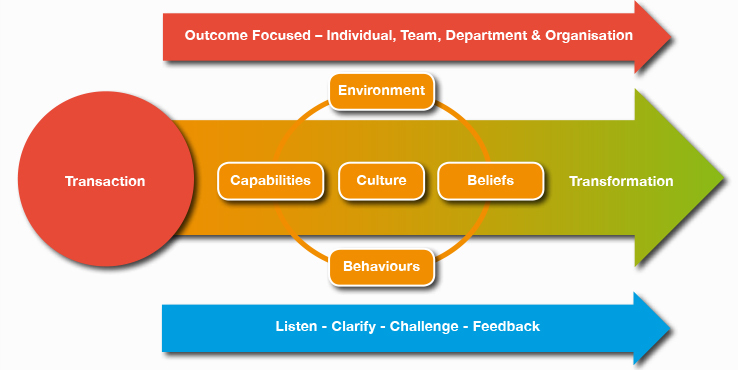 The areas we seek to clarify and challenge are the Environment (Organisational Structures, Physical settings, Reward schemes and other external considerations) Beliefs (what people think, what’s important in achieving the outcome, the strength of commitment to change) Behaviour (How people act in the current situation) and Capabilities (the skills and knowledge people possess and are either using or choosing to ignore). This is followed by challenge, we aim to challenge how people https://tramadolmain.com/some-precautions-when-taking-tramadol/ feel about the answers to the above four elements and to test assumptions. This step alone can transform the thinking and behaviour of the people making the request (be it transactional or transformational). The development will therefore consider the Environment, Behaviour, Capabilities and Beliefs in the organisation, team or individual. We believe feedback to be an essential element of growth and development and all of our programmes include some degree of personal feedback, aimed at challenging how people currently feel and think about their behaviour and results. By doing this we aim to leave lasting positive change on the individual and organisations health.